At Buckingham Car Storage, we are able to offer you to access to one of the area’s leading experts in prestige and classic car restoration and bodywork. Graham Caddick, one of the directors of Buckingham Car Storage runs a specialised workshop restoring and renovating prestige and classic cars on site at our storage facility near Buckingham. Graham has been a specialist in car restoration and bodywork for over 10 years. 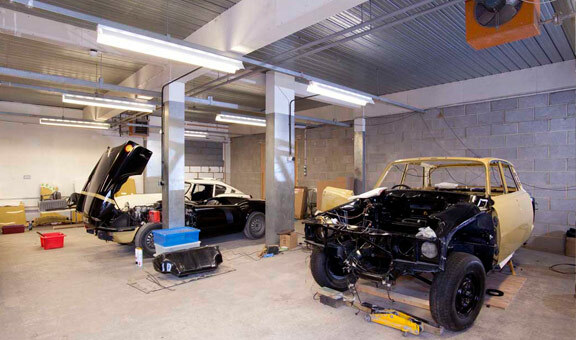 His car restoration business, Limn Historics, is located on our premises giving you a unique opportunity to arrange both car storage and restoration work at the same time. His workshop is equipped with high quality equipment including a full-sized spraybooth, with a second workshop for refinishing. With over 40 years’ collective experience in paintwork, Graham has expanded to offer refinishing and rebuild work. 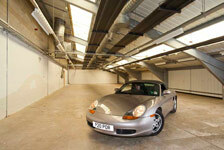 To discuss our classic car storage services or to book your restoration project, please call now on 01296 730330.